Gillund, Karen Kaye, age 64 of Littleton. Karen Gillund peacefully and joyously stepped into the loving arms of Jesus on Thursday, April 4, 2019. 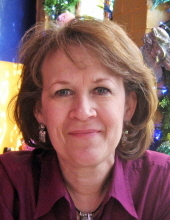 Karen Kemmer was born in Lisbon, ND, on June 8, 1954. The fourth of five children, Karen grew up on a farm in rural North Dakota and embraced the values of faith, family, and hard work. Karen married her high school sweetheart, Brad Gillund, on July 7, 1976, and together they raised three beautiful daughters, Laurel, Stephanie, and Rosalyn. She is survived by Brad and their daughters, her four brothers and sisters, and numerous nieces and nephews. A Registered Nurse, Karen lovingly served patients for 43 years in hospitals and an internal medicine practice. She marveled at the ever-advancing medical field and at the miracles of healing she witnessed. In addition to her career, Karen enjoyed traveling, trying and tasting new foods, sewing and needlework, and the simple pleasures of reading and great music. Most importantly, though, Karen's faith and family were her life! She felt blessed by God's rich favor and lived each day trying to be a blessing for someone else. Karen insisted on demonstrating resilience in the face of her adversities and hoped that the positive outlook, grace, and humility that she tried to portray would be an example for others to follow. To send flowers or a remembrance gift to the family of Karen Kaye Gillund, please visit our Tribute Store. Reception following in the Parish Hall. Services conclude at church. "Email Address" would like to share the life celebration of Karen Kaye Gillund. Click on the "link" to go to share a favorite memory or leave a condolence message for the family.